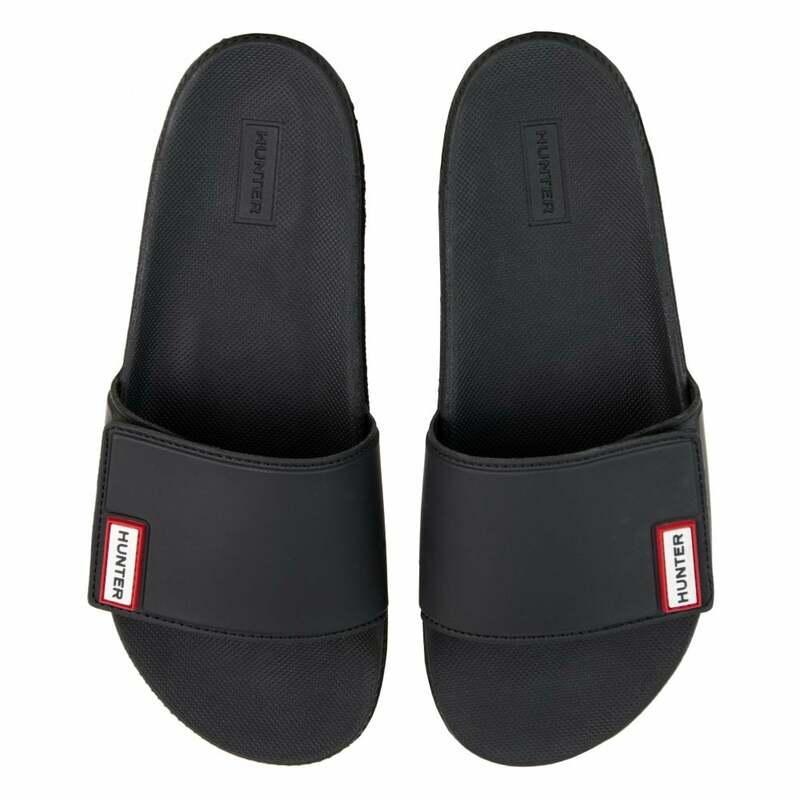 These slip-on Hunters Adjustable Slides have a textile & synthetic upper & and are black. The upper strap is adjustable with hook & loop fastenings and and a molded textured footbed. Hunter branding appears on the upper in red & white and the sole has a textured tread for added grip.